When I was in Japan, Kai and I took a side quest leading us to Taipei, Taiwan. The tickets were affordable ($100~ roundtrip, but you can get them even cheaper), the flight was short, and it was easy enough if we wanted to make it a weekend trip. This was my first “official” time in Taiwan. Pops was born in Taipei and moved to America when he was a wee lad, so only time I’ve ever been was once when I was also a wee lad. The little bits of memory I had from my first trip was actually a nice buffer for actually visiting it now. The smells and narrow streets were the same. We stayed with our two really, really good friends Robert and Zoe (woop!) who we met in Japan. They’re native to Taipei and hosted us for the week, bringing us to all the crazy places and ordering the best freaking food. Ximending Taipei’s Shibuya! As soon as you get off the Ximen train stop, there are floods of young people, music, lights, and - of course - food. If you’re looking for your classic spot to get shopping done, this is the place. There are a bunch of big brand name shops with smaller local shops sprinkled in between (but granted, there might be a few better spots for the local brands that I’m not aware of of). Food. Maybe not my personal top spot for snax, but there’s an amazing line of food carts that offer some deliciously strange dishes conveniently located among all the shops. There’s a great mango kakigori (flavored ice shaving dessert) place close to the station. They serve crazy fresh fruit in abnormally large portions. Peep the photo. Your classic spot to find young people, commotion, and probably most tourists. A generally likable area, I highly recommend this area to visit at least once during your stay. Jiaoxi. Just north of Taipei is a snug little place called Jiaoxi. A comfortable and homey area with lots of locals and an oldschool city/street vibe. Surrounded by nature, this area has a good amount of food (duh), hot springs (mainly for feet), and a lively crowd. Highlight is definitely the fish foot bath. Sure, of course you can get a fish foot bath at an Asian spa in America for $60, but this place was much more wholesome and gritty (in a good way). We went to a fish bath tucked away in the back of a popular foot bath area where there were pools of fish waiting to munch on crusty feet. These fish ranged from .5” to 4” and were separated in different pools according to size. Yes, you can feel the larger fish nibble on your feet more. No, it doesn’t hurt. Yes, it was scary as..
*For those of you that don’t know what a fish foot bath is, it’s when you soak your feet in water and fish swim up to them and nibble off your dead skin cells. 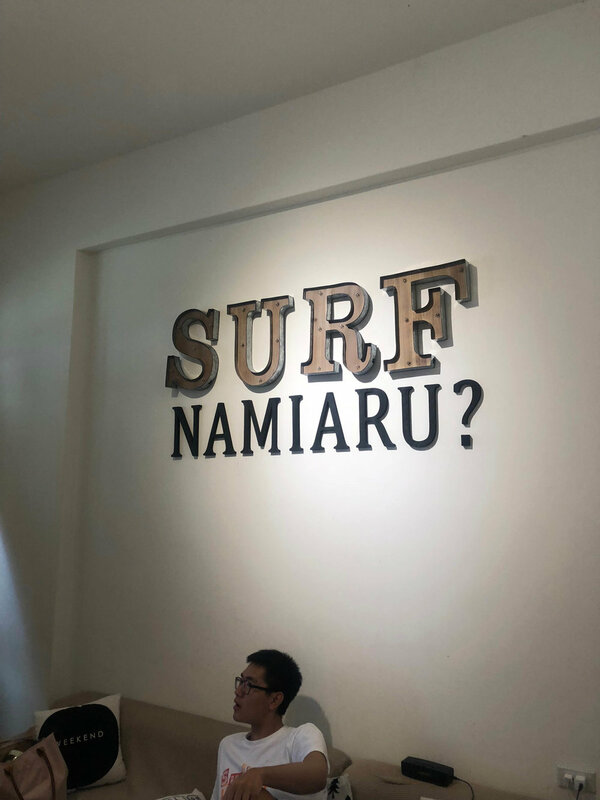 Surf Club Namiaru. This one is much more unexpected and out of the ordinary for the average Taiwan-travel list. A big applause for Robert and Zoe for throwing this on our plate. We stayed overnight at Namiaru surf club, where they provided us with (an actually) delicious breakfast, surfboard and wetsuit rentals, and lessons. Most people knew how to surf, or knew members who did. I was neither. The instructors spoke some English, but it was very easy to communicate since most members were younger and studied abroad or knew English from school. I was also really bad at this. The water was warm and comfortable, but there were lots of people in the water and, uh, I kept falling. But still recommended. The markets. One of my favorite parts of the entire trip - and I’m not alone on that! 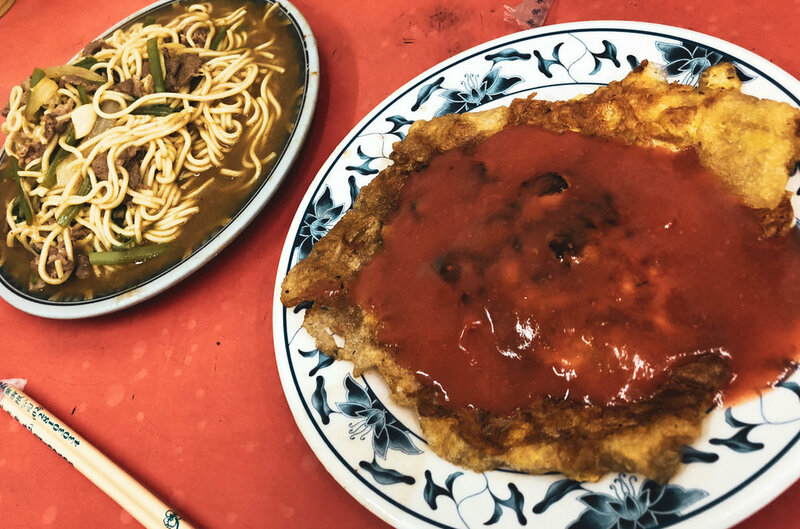 A handful of my friends who have also traveled to Taiwan rave about the savory street food. The markets get lively once the sun goes down, and everyone from all ages weave through the streets playing games, eating food, and hanging out. Infinity street carts. Lots of stinky tofu. The best fried chicken. Delicious (and huge portions of) bubble tea. If you’re with a group, get 1-2 dishes from each place and split it among everyone. You’ll hit so many more spots without getting too full from one place. Scallion Pancakes. I loved doing this. Another really, really big shoutout to Robert and Zoe for making this happen and driving us out to experience such a fun + delicious time. 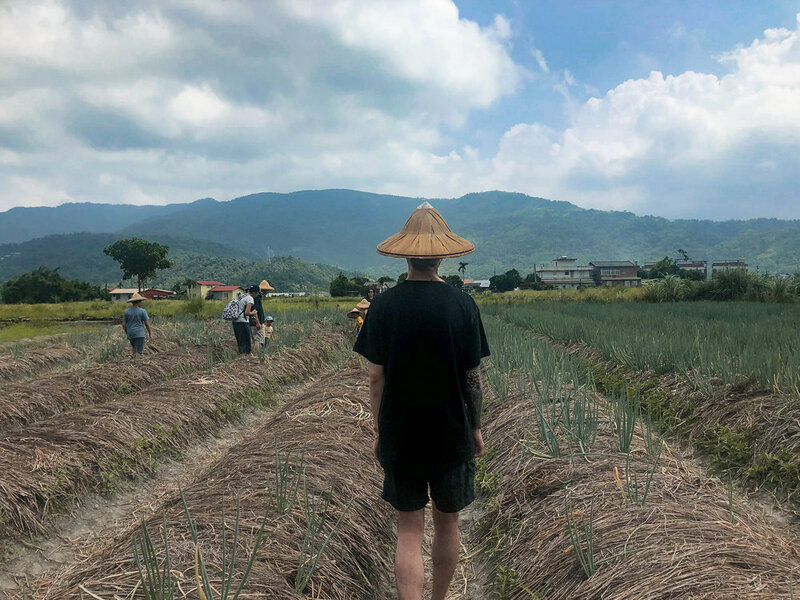 We drove 1~2 hours (from city center) to a green onion field, where we were able to pick scallions, roll our dough, and enjoy some handmade pancakes. Each tour consisted of 10~15 people, where they start off by teaching you the practice and history of farming green onions. Everything is in Chinese, so I understood absolutely 0 of what they said. 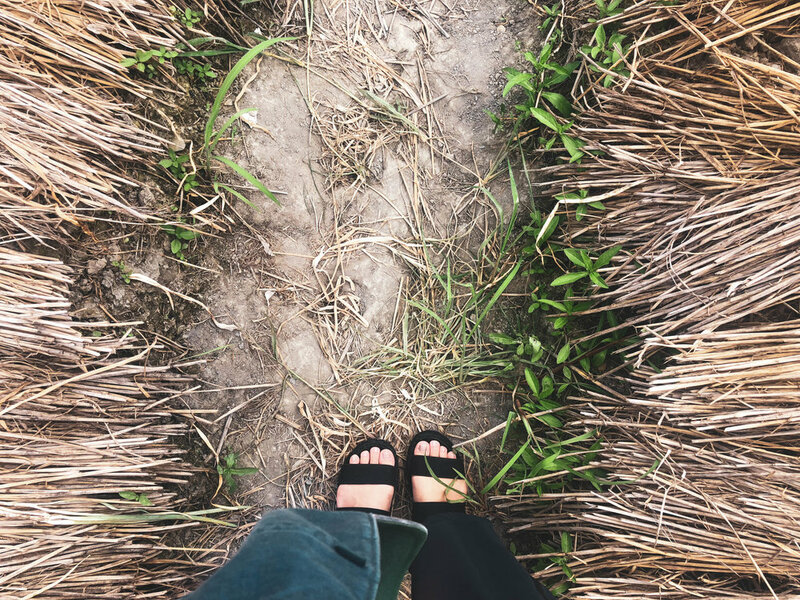 Then they lend out rubber boots and straw hats, to which we went to the field to actually pick scallion bunches! After everyone picked theirs, they brought us to a room where they demonstrated dough rolling + stuffing. I was horrible. Again. But we finished it off with a nice lady deep-frying everyone’s pancakes, where we topped it off with spicy sauces! To eat by the mountains!! So good!! Hehe. 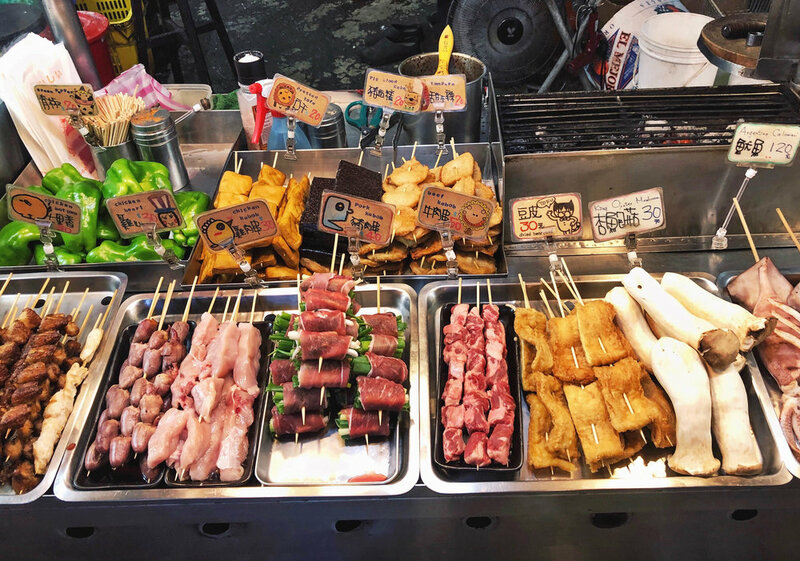 Of course there are thousands of crazy cool things to do in little Taiwan, but these five are some of the ones I had the most fun doing. Obviously each of them consisted of something food related, but bear with me.. the food really makes part of the experience that much better. This also means I will be making a post dedicated to food (!!). Apologies if some of the places are vague, there is very little English - much less than in Japan. f you are really itching to know the details, please let me know and I’ll try my best to figure it out.